Greetings from “our” house in Hollywood Hills! Since we don’t know anyone very well in Los Angeles, we decided to spend our one night in the area using AirBnb. Catherine lived in LA for a few years, and she suggested this cottage to us. 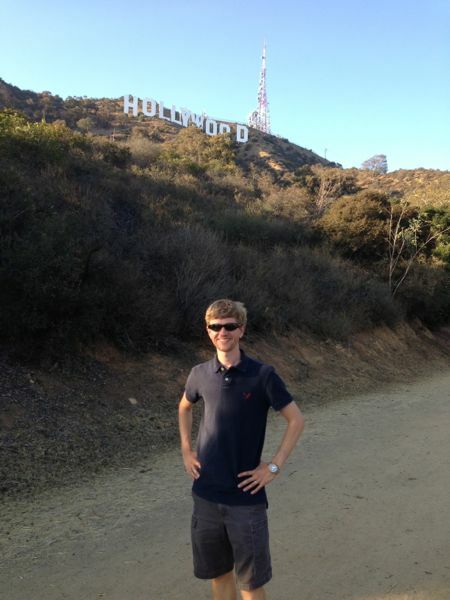 I know very little about LA, so I was glad for any advice we could get. Catherine did not steer us wrong, that’s fo’ sho’! 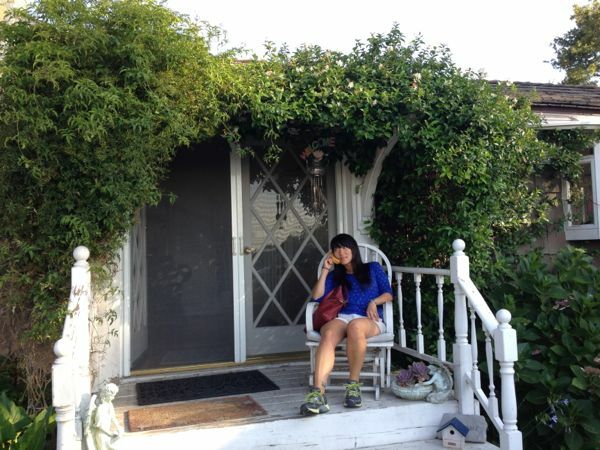 Helen, our host (and the owner of this awesome “Hollywood cottage”), is down-to-earth and totally chill! 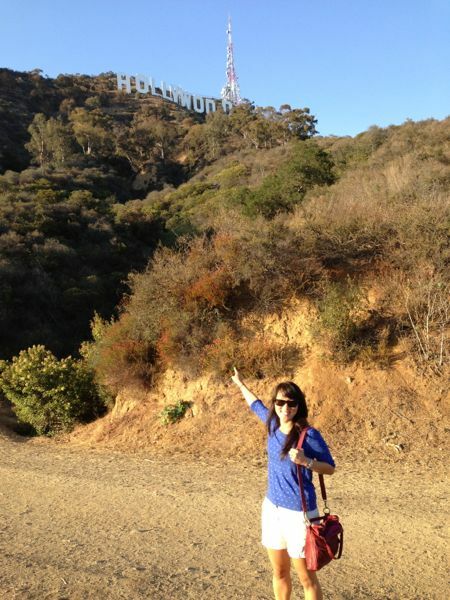 Right away, she warmly opened her house to us and gave us directions to a cool, “hidden” view of the Hollywood sign! Helen is awesome, but her chihuahua Lucille Ball is a TRIP. We were advised to avoid all eye contact. 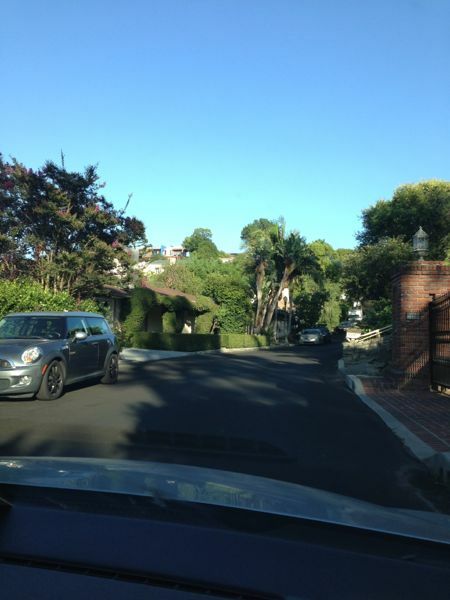 So yes, we’re staying IN Hollywood Hills! It’s pretty fancy, but the houses aren’t what I expected. I think I confused it with Beverly Hills, so I’m delighted to find that the homes are mostly cute one-story buildings with neat lawns. Each one is different! Though, of course, it is still a very wealthy area. That’s one reason why AirBnb is so appealing–we’d never be able to get this kind of location and with such “inside” knowledge in a hotel! 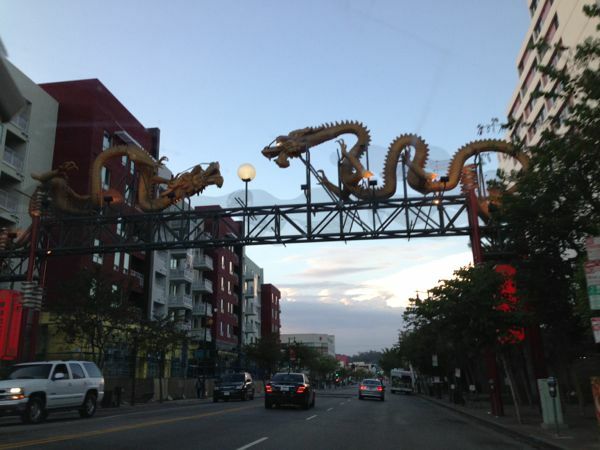 Helen also recommended that we go for Chinese in Chinatown! 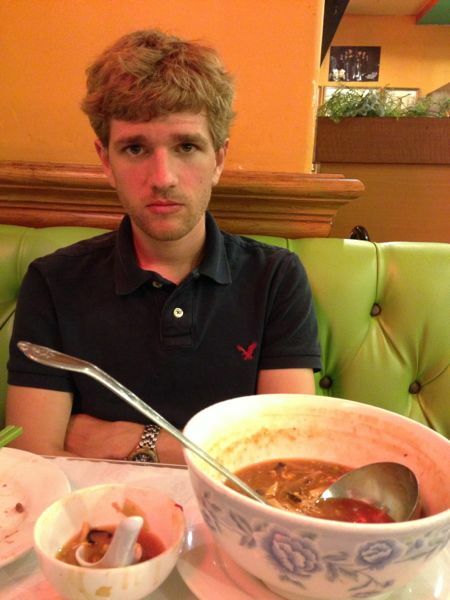 Harrison was really excited to eat some quality hot-and-sour soup at Hop Woo! 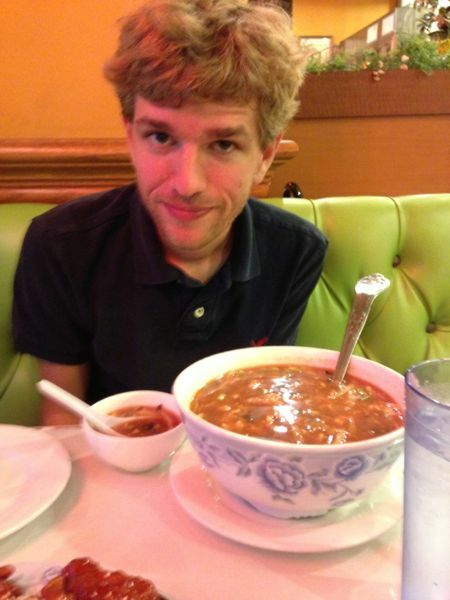 Someone’s eyes may have been bigger than his stomach…DEFEAT! Too bad we’re only in LA for one night on the way down to San Diego. Of course, we could stay here a week and only scratch the surface. It’s definitely a different place. At 9:30pm on a Monday night, there was tons of traffic on the highway. Where are all these people going? And here’s another thing! What do all these LA residents do for a living? It’s the second largest city in the US, but I don’t know what most of its residents do. Does the entertainment industry supply the majority of jobs here? I’m curious!